Let me congratulate you on taking time to think about your estate, tax, or business planning. You probably do not realize how much your family will appreciate this gift to them. Utah Estate Plans is designed to introduce you to planning concepts, answer your planning questions, and explain the personalized planning services I offer to my estate, tax, and business planning clients. My professional qualifications include over 25 years experience as an attorney and fellowship in the distinguished American College of Trust and Estate Counsel. To receive a FREE Estate Planning Checkup Self-Test, please send me an email or call me at 801-530-7344. The Self-Test will help you identify areas of your estate that may need protection or might someday cause a problem for you or your family. So that the Self-Test can be personalized to your specific situation, please provide your name, marital status, and how many children (and stepchildren, if any) you have. 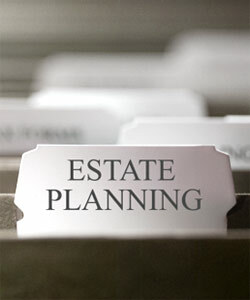 To find an estate planning term, click on the first letter of that term in the list below. All definitions are based on either Utah or federal law. No attempt has been made to include state law definitions from jurisdictions outside of Utah. Advance Health Care Directive - Also known as a "living will" or "medical directive," in this document a declarant (1) names an agent to make health care decisions on behalf of the declarant if he or she ever loses the capacity to do so and (2) directs under what conditions life-sustaining procedures should be withdrawn. Estate - Property owned by a person at death. Estate Tax - A tax paid by a decedent's estate on the amount by which the estate's value exceeds the applicable estate tax exemption. In 2011, the federal estate tax rate is 35%. A similar tax can also be imposed on a state level. Estate Tax Exemption An amount which an estate's value must exceed before estate tax is assessed. In 2011, the federal estate tax exemption is $5,000,000. Financial Power of Attorney - names an agent to manage a person's finances; usually grants the agent power to do anything the person could do with respect to the person's finances. It may take effect immediately or when the person is unable to manage their own finances because of disability or incapacity. It is also called a "Durable Power of Attorney" because it remains effective if the person granting the power is disabled or incapacitated. Generation Skipping Transfer (GST) Tax - a federal tax assessed on gifts and bequests to grandchildren and later descendants or to anyone more than one generation younger than the donor. The tax is paid by the recipient of the gift or bequest. In 2011, the tax equals 35% of the value of the property given in excess of $13,000 per recipient per year. Generation Skipping Transfer (GST) Tax Exemption - an amount which, if allocated to a generation skipping transfer, exempts the gift recipient from paying GST Tax. The GST Tax exemption amount may be allocated to a single gift or cumulated through successive gifts. Gift Tax - a tax paid by the donor of a lifetime gift. Federal gift tax does not apply to gifts less than the annual exclusion amount, which in 2011 is $13,000. Irrevocable Trust - a trust that cannot be amended or revoked by the trustmaker. Living (Inter Vivos) Trust - A trust that takes effect during the trustmaker's lifetime. Living Will - See Advance Health Care Directive. Medical Power of Attorney - See Advance Health Care Directive. Pourover Will - A will that sends the willmaker's property to the willmaker's trust. Probate - The legal process by which a decedent's property is collected and preserved; the decedent's debts and taxes are paid; and the remaining property is distributed according to the decedent's will or, if the decedent had no will, according to the laws of inheritance. Probate Estate - Property owned by a willmaker that is governed by the will; excludes property that passes outside the will, such as jointly owned property, life insurance, and retirement accounts. Revocable Trust - A living trust that can be amended or revoked by the trustmaker. Taxable Estate - property of a decedent that is subject to estate tax; includes property either owned or controlled by a decedent at death. Testamentary Trust - A trust that takes effect on the trustmaker's death. Trust - An enforceable agreement in which a trustee holds and manages property for the benefit of the trust beneficiaries; governs final distribution of the trust property; names an initial and successor trustees. Will - Takes effect at death; governs distribution of property in the willmaker's probate estate; names an executor to be in charge of the estate; can also name guardians for minor children. Mark J. Morrise, the author of Utah Estate Plans, is a partner with the Salt Lake City, Utah law firm of The McCullough Group, where his law practice focuses on estate, tax, and business planning. To see Mr. Morrise's firm resume, click here. Mr. Morrise can be reached by telephone at (801) 530-7359 or by e-mail at markm@tmglaw.com. 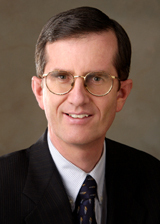 A 1981 graduate of the J. Reuben Clark Law School, Mr. Morrise has an AV rating from Martindale Hubbell, is a past chair of the Estate Planning Section of the Utah State Bar, and is an active member of the Salt Lake Estate Planning Council. He has spoken to professional groups on trust-and-estate related topics. Copyright (c) 2004, 2018 by Mark J. Morrise, All rights reserved.